It’s December 1st, which means it’s time to put up the Advent Calendar. I came across the above bags while shopping at Ikea last year. They are super cute and I knew that I could string them up above a doorway in the kitchen. Plus, they are reusable. 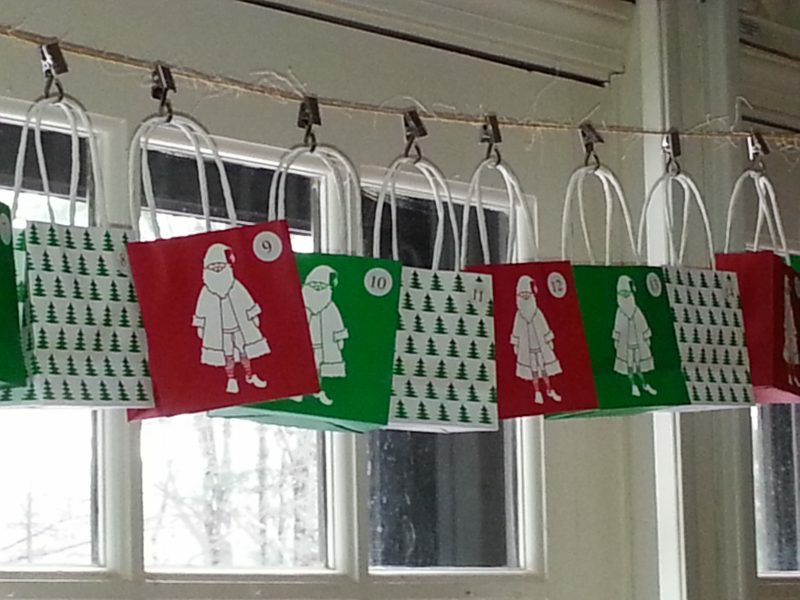 You can make your own Advent Calendar by purchasing small paper bags from a craft store (with or without handles), a piece of twine or string, and hooks or clothes pins. Don’t have a place to hang them? If you have a large wall, consider pinning them to the wall in the shape of a Christmas tree. Already have an Advent Calendar? Share what you put in yours in the comments section below.